Sailors Creek the day before, Lee could barely count 30,000 men left in his army. Most of these men were tired, underfed and weary of the long night marches they undertook that week. The hopes of being fed at Farmville were dashed by Federal cavalry showing up south of town and Federal infantry arriving northeast of town. Lee decided to buy more time by moving his army north of the Appomattox River where he could possibly regain time on his march away from Grant. Unfortunately with the failure to burn the bridges at High Bridge, the Federal Second Corps appeared on the north side of the river. Now Lee had to fight off this force to allow his army to march westward to Appomattox Station. The Confederates that crossed at High Bridge were in two “corps” – one under Maj. Gen. William Mahone and the other commanded by Maj. Gen. John Gordon. Mahone’s men marched directly westward toward Cumberland Church. Seeing Lee’s wagon train moving westward, Mahone decided to use the high ground around the church to go into a defensive position. Thus he could protect the trains and hopefully stall any attack from the Federal infantry now crossing at High Bridge. Gordon’s column marched southward along the Southside Railroad towards Farmville. The Federal Second Corps commander Maj. Gen. Alexander Humphreys ordered his Second Division under Brig. Gen. Francis Barlow to pursue Gordon. Constant skirmishing between the Federal leading Brigade under Brig. Gen. Thomas Smyth and Gordon’s rearguard continued along the railroad. A few miles north of town Smyth became under the probable fire of the 1st North Carolina Battalion of Sharpshooters. Soon Smyth was hit in the left jaw and the bullet lodged into his neck. He was instantly parlayed and soon died from his wound. Smyth was the last Federal General killed in Virginia. Near Farmville, the Confederates were able to capture 103 men of the 59th New York and 7th Michigan. Barlow halted his advance and was soon ordered northward to join the rest of the Second Corps near Cumberland Church. Near this same time, Federal cavalry under Maj. Gen. George Crook began to move out of Farmville and ford the Appomattox. Though the river was deep with recent rains, the horses crossed with the water “up to their bellies.” Crook’s men rode northward along the Plank Road in pursuit of Lee’s wagon train. As the Federal cavalry was in column, they came under the watchful eye of Confederate cavalry under Maj. Gen. Thomas Rosser and Col. Tom Munford. At once the Confederate cavalry charged the Federal lead Brigade under Brig. 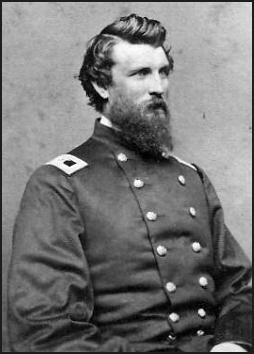 Gen. J. Irvin Gregg. 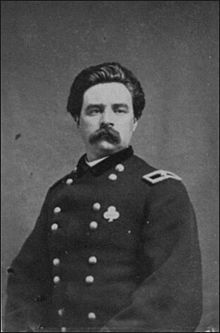 Taken by surprise the Federal cavalry fled “in one glorious charge, invincible – but to the rear.” In the confusion Gregg was captured, the last Federal General captured by Lee’s army. time the attack was organized, but the Federals were beaten back by a mixed force of cavalry, infantry and artillery. The Federal horsemen retreated back to Farmville and re-crossed to the southern bank of the Appomattox River. Lee’s southern flank was safe for now. 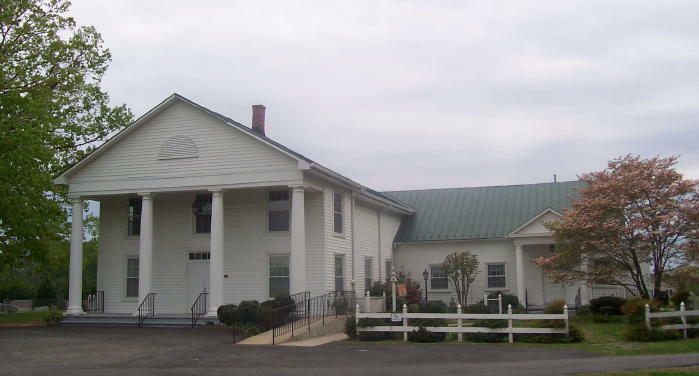 As Barlow finished battling Gordon near Farmville, the rest of the Second Corps formed up to attack Mahone entrenched around Cumberland Church. Humphreys believed that the Federals in Farmville would soon cross the river and attack on his left. So at 3pm, he launched an assault on the Confederate left north of the church. The First Division of the Second Corps launched the assault and quickly captured several Confederate cannon. As Captain J.A. Burns of the 140th PA wrote “we found the enemy at Farmville about 3pm. The regiment was on the skirmish line with the 26th MI. We pressed upon a whole division of rifle pits – went within two rods of them and fought them 10 to 1. On they came, the bugle sounding, and over they came.” Soon Confederate reinforcements were rushed in and regained the cannon. 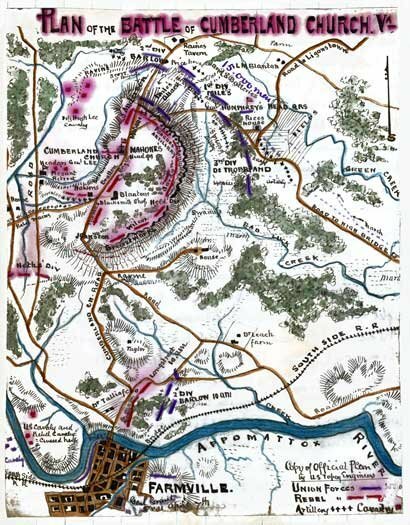 With assistance from Longstreet’s arriving infantry and Fitz Lee’s cavalry, Mahone was able to battle back the attacks. The Confederates “behaved splendidly” one wrote and soon Humphreys called off the assault. Without assistance from the main Federal forces in Farmville, Humphreys could not force Lee’s hand at Cumberland Church. The fighting around Cumberland Church quieted down around 6pm. Though the Army of Northern Virginia was a shadow of its former self, it was still a dangerous enemy. Humphrey’s lost 700 men killed, wounded or captured. While the Confederates suffered 250 casualties. It was the last battlefield victory of the Army of Northern Virginia. Lee showed the letter to Longstreet who replied “not yet.” They left their lines around Cumberland Church at 11pm for a night march westward towards Appomattox Station. But it was becoming obvious to Lee and his lieutenants that maybe the end was near. This entry was posted in Armies, Battlefields & Historic Places, Battles, Campaigns, Leadership--Confederate, Leadership--Federal and tagged Cumberland Church, Farmville, Fitzhugh Lee, Francis Barlow, Grant, John Gregg, Robert E. Lee, Thomas Smyth, Wiliam Mahone. Bookmark the permalink. Reblogged this on All things Confederate. The 155th Regiment NYV must have been involved at Cumberland Church. Can you tell me anything about their involvement? It dawned on me that If Barlow knew he was chasing Gordon, and vice versa, and if we acknowledge that generals usually knew which general was in their front or rear, then all the myth about the Barlow-Gordon meeting after Gettysburg must be all poppycock because here Barlow and Gordon met in battle, post Gettysburg. Gordon was supposed to have said years later at a White House dinner, “were you the Barlow who died at Gettysburg”?. Should not he have said, “were you the Barlow who I saw laying on the ground, near death at Gettysburg, who chansed me around the countryside near High Bridge in 1865”? Thank you for your response. I wont tempt to dive into the controversial waters of the “Barlow-Gordon” incident at Gettysburg. There are many experts out there that have written exhaustively about their Gettysburg encounter and post war writings. I will say we all know that Gordon took many liberties in his post war accounts. I am not sure if Barlow or Gordon knew they were facing each other north of Farmville. One would assume as much, but Smyth was the Federal General in command at the front. Gordon was acting as a quasi-Corps commander at this point and may not have been with his rear guard. But, you raise a very interesting question! The expert on all things “Lee Retreat” is Chris Calkins at Sailors Creek Battlefield State Park. I will pose your comment to him and see what his thoughts. are.